The Very Rev. 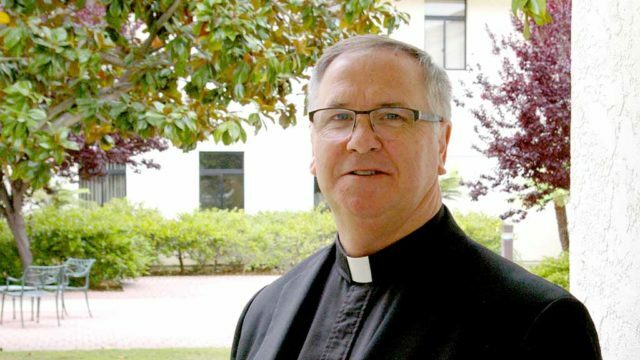 John P. Dolan of St. John the Evangelist parish in Hillcrest has been named auxiliary bishop in the Roman Catholic Diocese of San Diego, the church announced Wednesday. An almost fluent Spanish-speaker known for his efforts on behalf of the Lost Boys of Sudan and other refugees, Dolan will take up duties June 8, following his episcopal ordination at St. Therese of Carmel in Del Mar Heights. The news came from the Vatican Press Office that Pope Francis appointed Dolan to assist Bishop Robert McElroy in managing the diocese, which serves 1.3 million Catholics in San Diego and Imperial Counties in 98 parishes. Previously at St. Michael in San Diego, Dolan “for years been a spiritual adviser for the Lost Boys, many of whom are now in their 30s. When he transferred to St. Michael’s in 2014, the parish adopted the Lost Boys as one of its charitable causes,” said a Union-Tribune story. McElroy’s comments came Wednesday morning during Dolan’s introduction to staff and family at the diocesan Pastoral Center. “Dolan begins his new duties at a time when the diocese is implementing innovative initiatives to strengthen local Catholic families and their communities,” said a church statement. “One of these grew out of a historic synod held last fall to develop ways to strengthen marriage and families and to welcome and support youth and young adults. Dolan, 54, grew up in the Clairemont neighborhood of San Diego, and was ordained to the priesthood on July 1, 1989, by Bishop Leo T. Maher at San Rafael Parish in Rancho Bernardo. One of nine children born to Gerald and Catherine Dolan, he was educated in local Catholic schools at St. Mary Magdalene Parish and University High School, before attending St. Francis Seminary and the University of San Diego, where he received a B.A. in philosophy. He continued his studies at St. Patrick’s Seminary in Menlo Park, where he earned a Master of Divinity degree, along with a Master of Arts in Theology. Dolan has served as a priest in the Diocese of San Diego for 27 years. He began as an associate at St. Michael’s Parish in Paradise Hills before going on to Santa Sophia Parish in Spring Valley. He served 12 years as pastor at St. Rose of Lima in Chula Vista and five years as pastor at St. Mary Star of the Sea Parish in Oceanside. Most recently, he has served as Vicar for Clergy at the Pastoral Center, where he oversees the assignment of priests and clergy at the 98 parishes in the diocese, and as Pastor at St. John the Evangelist and St. Vincent De Paul in Mission Hills/Hillcrest. He will continue in those roles.